One of the premier Dupage County, Illinois Jeep Dealers, our premier dealership offers a wide selection of new cars, used cars, and SUVS by Jeep, Chrysler, Dodge, and Ram. 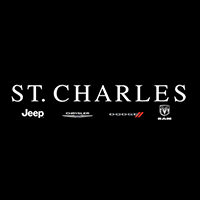 A dependable Dupage County Jeep Dealership, St. Charles Chrysler Jeep Dodge Ram has a large variety of cars, SUVs, and trucks, including the Jeep Wrangler, Jeep Cherokee and more! Our friendly, knowledgeable sales staff and dedicated finance experts work hard to get you the vehicle that is the best match for you. Visit our website to learn more about our current specials on our Dupage Jeep cars or Dupage Jeep SUVs or stop into our dealership to speak with our sales staff about our Dupage County new Jeep for sale or lease. If you are looking for Dupage new jeep for sale or lease, including the Dupage 2019 Jeep for sale, St. Charles Chrysler Jeep Dodge Ram has what you are looking for at a price that works for you! Dupage County, Illinois is one of the collar counties of the Chicago metropolitan area. As of the 2010 census, the population was 916,924 people. It is Illinois’ second-most populous county. Dupage County is located about 20 miles west of Chicago. It is a combination of modern life and small-town charm. Dupage County has a wealthy amount of green space providing a beautiful natural environment. The county is composed of 38 communities, all of which have different characteristics that make them unique places to live, work, and play. If you are looking for a Dupage New Jeep For Sale or a reliable pre-driven Dupage Jeep SUV, car or truck, visit our friendly Dupage County Jeep Dealer today in Illinois. Our premier dealership has a state-of-the-art auto repair center where our top trained technicians perform regular maintenance such as auto-glass repairs, wheel repairs, transmission repairs and more. Our service department offers an Express Lane to receive car maintenance such as an oil and filter change or tire wear and pressure check done in a timely fashion. If you choose to work on your own vehicles, our Dupage Jeep Dealership carries an assortment of manufactured-certified parts such as batteries and oil filters, so you can work on your own vehicle with quality parts. Our Dupage, Illinois Jeep dealer is committed to helping you drive home in a vehicle that is just right for you and your lifestyle!